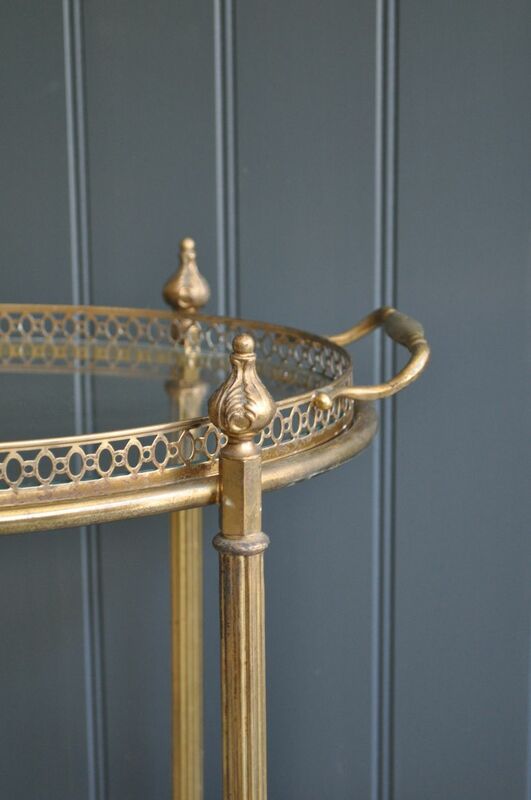 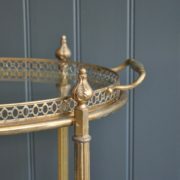 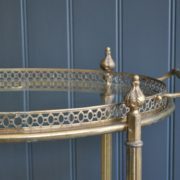 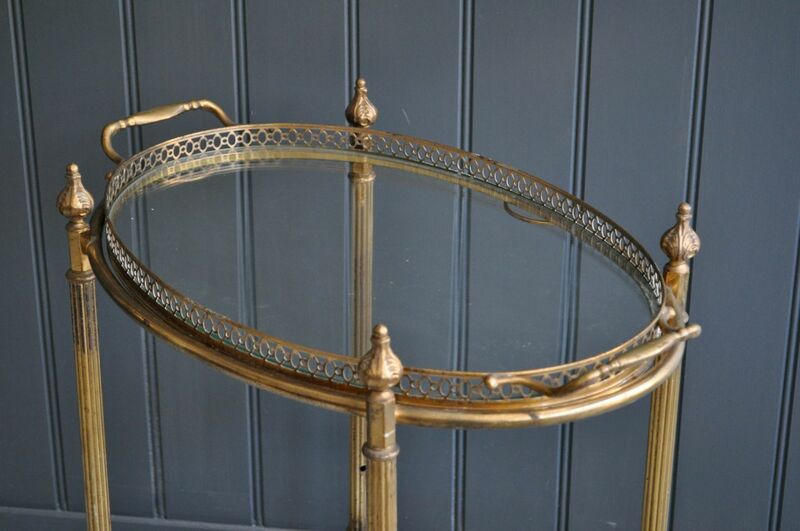 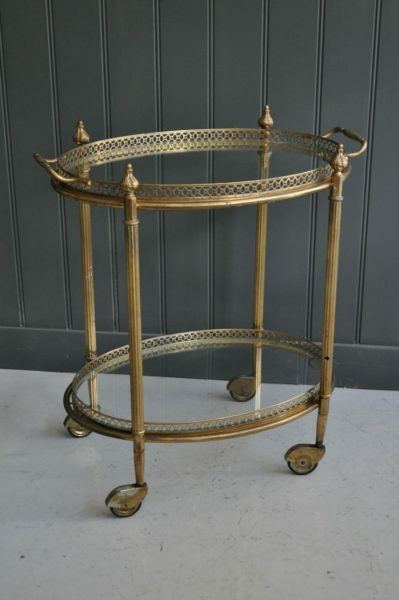 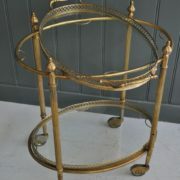 Lovely and good quality French brass drinks trolley, with an upper shelf that is a removable tray. 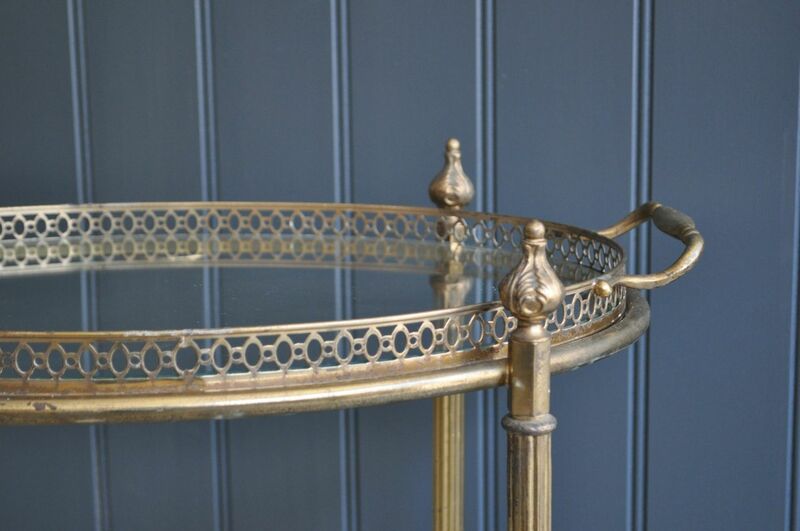 Origianl glass to both levels, with no chips or cracks. 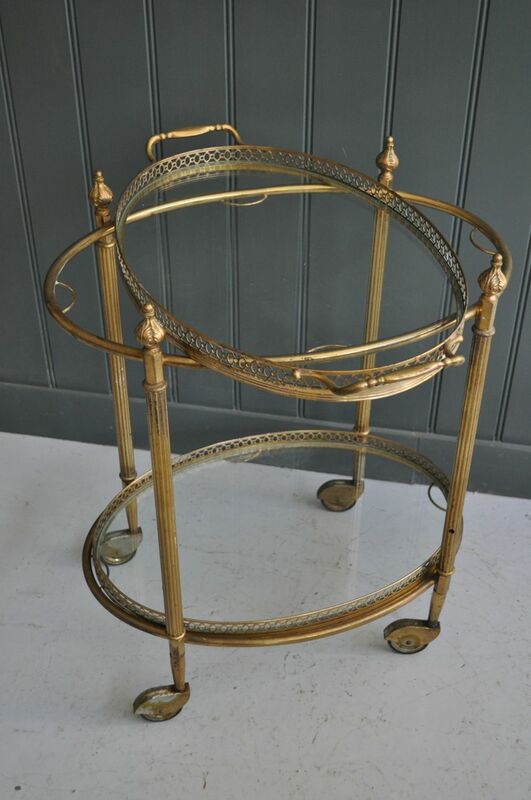 Original smooth-running castors, and some light wear in keeping with age. 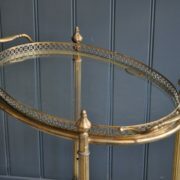 A particularly nice petite example, with beautiful galleries to the tray.